Population: 9,600. 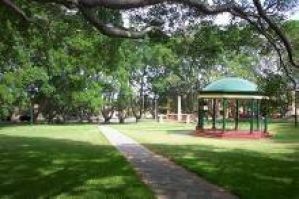 Mortdale is located 20 kilometres south of the Sydney CBD and is part of the St George region, lying across the local government area of the City of Hurstville. Mortdale Heights is a locality in the south-western corner of the suburb in which all but one street name starts with “B”. Mortdale was named after wool merchant Thomas Sutcliffe Mort who was famous for pioneering the refrigeration of shipping meat and the construction of mort’s dock, Balmain. Mortdale became a popular residential suburb in the 1920’s for soldiers returning from World War I.
Mortdale consists mainly of residential dwellings and unit blocks with some commercial and industrial developments in the north-west corner. There are a number of large prestige dwellings on the southern-side, whilst many original dwellings still remain to the north. With new and original medium density units in and around the village centre and railway line, the area has something to offer, singles, families and empty nesters alike. Mortdale has a number of historic buildings including the Fire Station, Old Police Station and the Mortdale Hotel (mortdalehotel.com.au). It is well known for its cafes and restaurants with an array of cuisines to choose from. Mortdale also offers a wide variety of sport and recreational activities including sporting clubs, dance and musical tuition. Just a stones-throw from Oatley Park (oatleypark.com), the most significant area of bushland remaining in the St George area, residents can enjoy a diverse range of lifestyle choices.